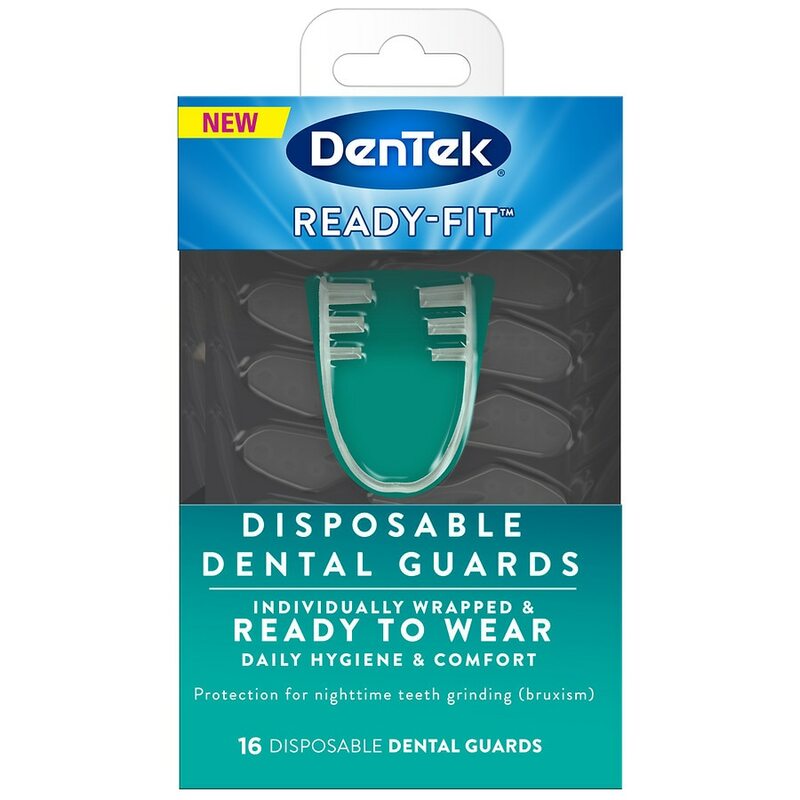 DenTek's Disposable Dental Guard provides a ready-fit, hygienic and comfortable solution for those who are looking for convenient and fast grinding protection. Simply place the Ready-to-Fit Dental Guard in your mouth on your upper or lower teeth, whichever is more comfortable for you. The retention band should be placed between your front teeth and your lips while placing the bite tubes on your molars. Close your mouth, gently rest your teeth on the bite tubes, and relax. Multiple dental guards should not be worn at the same time. Dispose of after use. © Prestige Brands Holdings, Inc.
See your dentist every six months. Multiple dental guards are NOT intended to be worn at the same time.